Tiare is a type of gardenia indigenous to Tahiti where it grows on small bushes with glossy green leaves. The abundant and luminous white flowers bloom year round. Distinctively fragrant and devoid of all toxicity, they are known as both the "flower of love" and the "flower of beauty." This loving, energizing scent evokes the tropics in all its soothing bliss: calm seas, balmy breezes, lush foliage. It is gentle, delicate, sweet, loving, and energizing. Subtly sweet, gentle, and delicious. 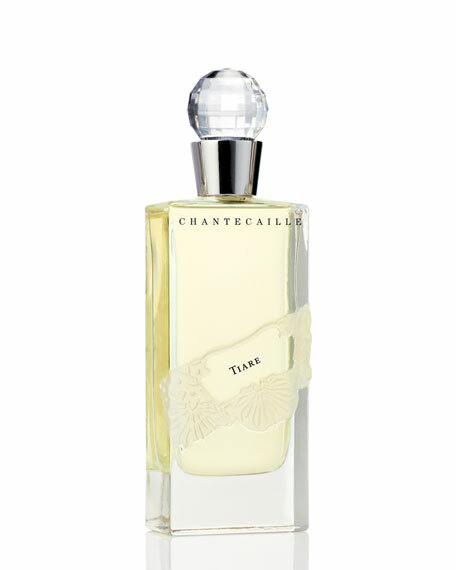 A type of gardenia indigenous to Tahiti, with an exquisite and distinctive scent. One whiff evokes the sea, spices, and tropical smells. For in-store inquiries, use sku #290859.